Columbia's hugely popular classic 250g fleece vest keeps your core warm in cold conditions. Offered in a wide range of colors, this versatile wardrobe staple is a key layering piece for outdoors adventures or everyday excursions. A zip-closed security pocket keeps valuables stashed safely. 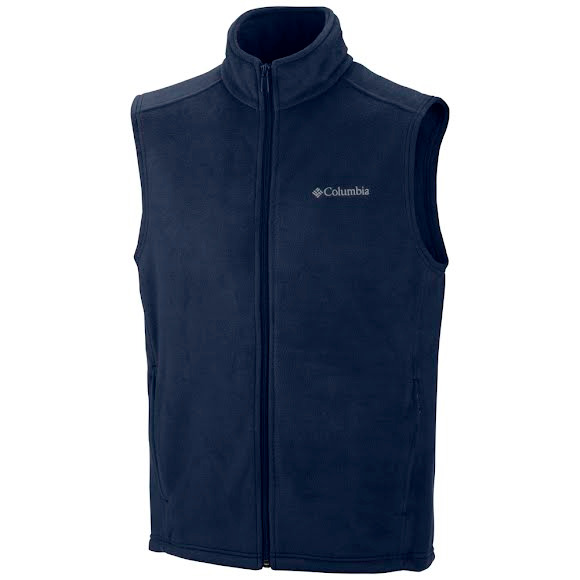 Columbia&apos;s hugely popular classic 250g fleece vest keeps your core warm in cold conditions. Offered in a wide range of colors, this versatile wardrobe staple is a key layering piece for outdoors adventures or everyday excursions. A zip-closed security pocket keeps valuables stashed safely. Maximum Thermal Retention fleece is a strong performer from Columbia season after season. A quick drying, non-pilling polyester stretch fleece that is a reference for lightweight warmth and breathability.